Are you Using Influence Marketing to Connect with your Target Audience? In today’s world where social media has become an integral part of our overall marketing plans, we can’t rely solely on the old standby of the Four P’s – Product, Price, Promotion and Place. We now have to learn how to manage and measure the brand influencers in social media marketing. In a recent article in Convince and Convert by Danny Brown, he highlights ways to influence the customer with the Four M’s – Make, Manage, Monitor and Measure. He concludes that by incorporating the M’s and the P’s, we’ll be better serving the customer. The customer must be the center of our efforts. We need to find out what stage they are in the buying cycle and address the needs at that particular stage whether it’s information gathering or ready to buy. We need to manage the responses of the messages we send. Did they have a positive or negative impact? We need to monitor the relationship between the small core group. Who is the influence? What factors are coming into play? If we do all these we’ll be able to measure our influence on customers. 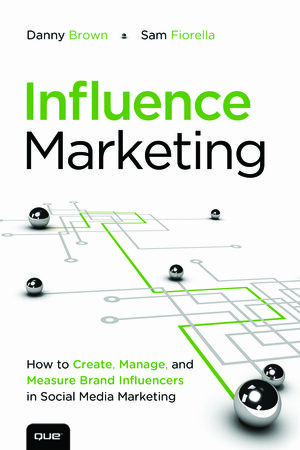 Danny Brown and Sam Fiorella have written a book, Influence Marketing, which I plan on reading. It certainly makes sense that by incorporating the old methods with the new it gives us better ways to communicate and measure.